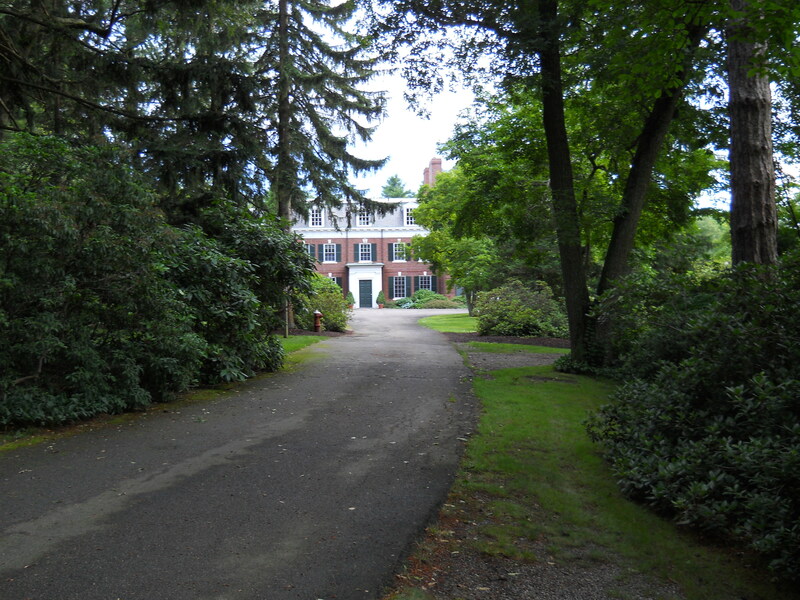 Eleanor Cabot Bradley Estate; Canton, MA - Take a day trip! 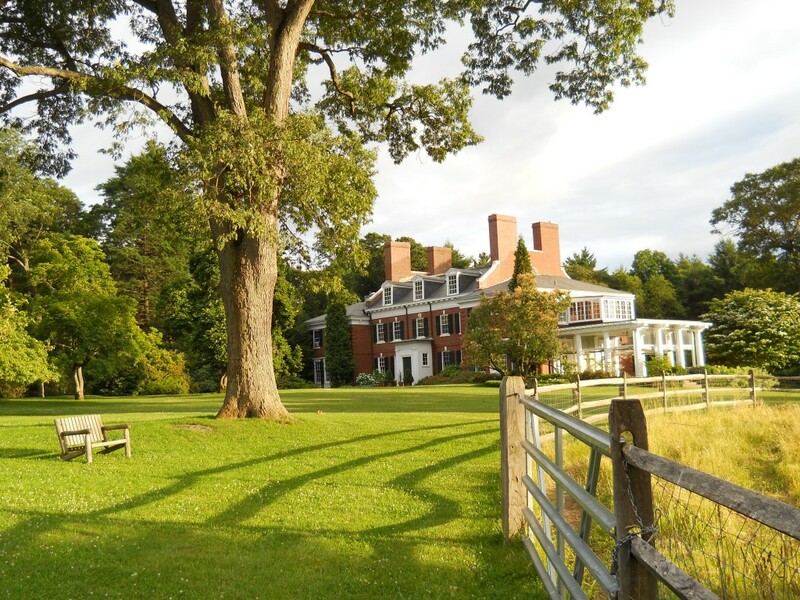 Hiking: There is a loop that circles the entire property that is a 2-3 gentle walk that allows you to get a great view of all of the features on the property including the mansion, formal garden, kitchen garden and llama enclosure. Dog Friendly: The property allows dogs on properties with few couple conditions: they must be leashed, you can’t bring more than two at a time and you need to clean up after them. Bird Watching: Bird watching is available in several spots. Formal Grounds and Gardens: The formal garden, kitchen garden and several other spots are great places to take a seat and enjoy the view. There are also several benches throughout the property. Bench with view of the mansion, grounds and llama pen at the Bradley Estate in Canton, MA. Special Events: The Mansion is available for weddings and special events and looks like it would make a lovely venue. For more information about booking it for an event you can call 781.255.1996 or go to www.bradleyestate.org. Picnic Areas: There are picnic tables and lots of lawn space to sit down and enjoy a picnic on a nice day. 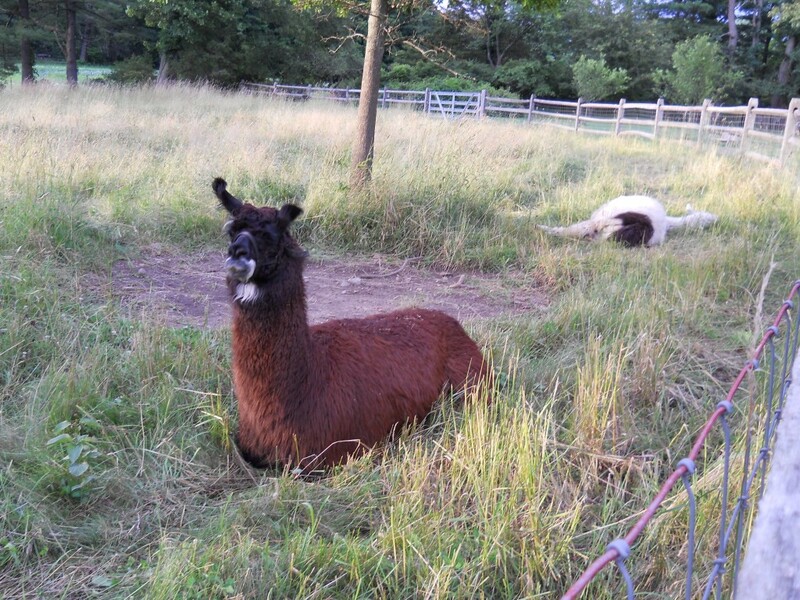 Llama Enclosure: There are a couple Llama’s on the property, and they’re friendly. It makes a great place to entertain any children as well. Cross Country Skiing and Snowshoeing: The former carriage path that loops around the property makes a great cross country skiing and snowshoeing loop in the winter if there is sufficient snow (not always a guaranteed thing). Handicap Access: Many of the paths and features here are handicap accessible and allow for people of different physical abilities to enjoy this area. Working farms: There is a farm and kitchen garden on the property. Please note that bicycles aren’t permitted on the property. Facilities, fees and other information: There is no entrance or parking fee and the park is open from dawn to dusk. The mansion is only open for special events and there aren’t any regularly open facilities from what I saw.